José Mourinho has hinted that Paul Pogba’s return to Manchester United is edging closer, as he informed fans to expect another signing soon in his first press conference as the Red Devils’ boss. 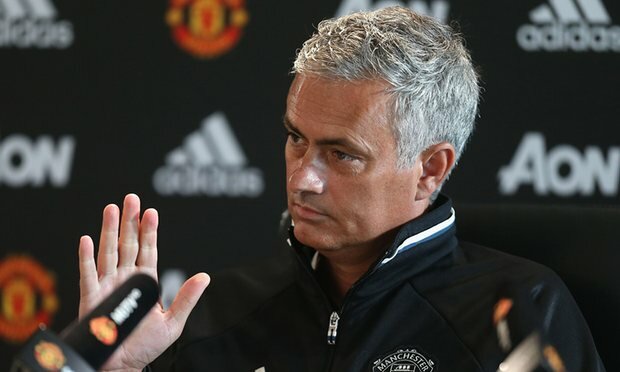 The Portuguese manager also said that he wants all of his transfer dealings completed before the start of the Premier League season, after bringing Eric Bailly, Henrikh Mkhitaryan and Zlatan Ibrahimovic to Old Trafford. When quizzed as to whether another player may be arriving in the coming days, he responded: “Yes we have 22 now and we are going to have 23,” as reported by the MEN. “You are right I don’t like to speak about other clubs. I don’t like to speak about players from other clubs, other managers like to do that, they like to speak about my club and my players, I’m very pragmatic on this. “The only thing that matters for me is what’s happening in my house, not my neighbours’s. Pogba is a Juventus player and until officially he isn’t, we stay like this. The MEN also report that Pogba should be a Manchester United player this time next week, and after hearing José’s comments, it is hard to disagree. Mourinho also confirmed that United will get a “very good midfielder,” and with the 53-year-old aiming to complete his transfer activity before the 14th, it seems that Pogba is very close to a return to Manchester after leaving the club in 2012.